WHY CARING MATTERS? Caring comes first. That`s our difference and our promise. Caring Matters is a Houston based non-medical home care Agency. We provide kind, compassionate personal care to seniors and other individuals in need. Whether you are looking for the best individualized In-home care for Mom, help with Dad`s Alzheimer`s or are you a senior looking to stay independent in your own home, or a Veteran who cannot afford a Provider; Caring Matters is here, and ready to help. We have professional caregivers all around the Houston area. 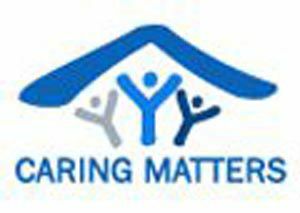 In addition to having the appropriate qualifications and satisfactory background checks, Caring Matters caregiver are Committed to caring first, Friendly and outgoing, Attentive to the clients' needs and the wishes of their families Reliable and trustworthy Respectful of every client's unique needs. The feedback and testimonials we`ve received remind us each and every day how important our services are to the families and individuals that we serve.